A recent news items published in the newspapers suggests that Hindus are upset about the inclusion of the movie Dacoit Queen by Georgetown University as a resource to explain Hinduism. We are not sure which Hindus and how many Hindus are reacting to this news, because experience shows that most Hindus remain nonchalant to such happenings. The truth is the movie is based on a real life character. The characters in the movie are real and the events depicted in it are real. The dacoit queen, on whose life the movie is based, earned notoriety as well as popularity. The movie was well received by the audience. The movie shows how a Hindu woman from a lower caste was subjected to social disabilities and discrimination by her own Hindu people and how she turns against the system upheld by Hindu caste system. Her methods may be wrong, but she was still a Hindu and her reaction was against people who were high caste Hindus. Personally, we do not see any religious or racial bias in choosing this movie to explain the social injustices and the caste factor that predominates the present day Hindu society. As we have repeatedly stated several times, caste is the worst aspect of Hinduism. It has been so far the most evil and divisive factor of Hindu society. Those who support it and those who exploit it are equally to blame for the religious conversions and the gradual erosion of faith in Hinduism and its values. Time and again, history has proven that a majorty of Hindus by nature and by habit remain indifferent to their religion, to the cause of their religion, to its values and its teachings. While every Hindu is supposed to live selflessly for the sake of others, for that is what the eternal dharma implies, most of them live without consideration for others, spread waste in public, remain passive about evil and corruption in society and ignore the greater interests of their own community. They tolerate injustice as much as they tolerate their living conditions. In the name of tolerance, they turn a blind eye to social evils and the relentless attacks against Hinduism by atheists, psuedo secularists and other groups; and they continue to elect worst leaders and corrupt people for public offices, swayed by their regional and caste considerations. Those who criticize the university's decision should take a look at the situation in the Indian film industry today. Just think what alternatives the university might have to Dacoit Queen. Should the university include those masala films where item songs are shown witout inhibition, where women are depicted as items, where everyone seems to be practising a fictional version of christianized Hinduism, and where all traditional social and religious norms are thrown to winds? Most actors who act in these movies and the people who produce them have little knowledge and much less respect for Hinduism. Should the uniuversity consider movies like Dilwale Dulhaniya Lejayenge, Dostana, Dabang or Dhoom, or the art films that are made mostly by producers and directors who are influenced by communist ideals? The fact is most Indian movies are made for money and titillation. They appeal to the male libido and the baser instincts of human beings in which facts and fiction, virtue and morality, social issues and pressing prolbems of society are confusingly intermixed and represented for people who have little time and opportunity to refine their intelligence or improve their thinking. Today, Hinduism is the least practiced (in terms of sincerity) religion in India. The kind of Hinduism that most people practice today is the singing, dancing and bribing type, or the materialistic kind meant for artha (wealth) and kama (peasure) rather than dharma (virtue) and moksha (liberation). It appeals to our minds and senses rather than to our hearts and souls; and it aims to secure favors from the higher powers through the illusion of religiosity and religious activity. The religion which we practice presently is very similar in its aims to the atheistic kind practiced by the Carvakas (atheists) and the Lokayatas (materialists) of ancient India. In terms of practice, it is already a minority religion in the country. Those who want to uphold the religion, should think about this seriously and work to promote and preserve its vital aspects, its essential philosophy and its highest vision, which helped it to survive all these millenniums. They should focus on its core values and spiritual practices rather than on the thrills and frills injected into its sacred body like a poision by the movies and popular materialistic culture. Let us not forget that Phoolan Devi, the main character of the movie Dacoit Queen was a Hindu who reacted to caste and gender discrimination in her own rebellious way and left a mark of her on Hindu society. Her experience and her life as a Hindu serves as an example for those who go through similar situations in their lives and suffer from caste discrimination and social injustice. Let us appreciate that she fought by staying a Hindu rather than converting to another religion. Having committed crimes, she did not escape to a foreign country to set up a mafia outlet, but surrendered to the authorities respectfully, lived in the country amidst the people and the society she fought with and agreed to abide by the laws of the country. 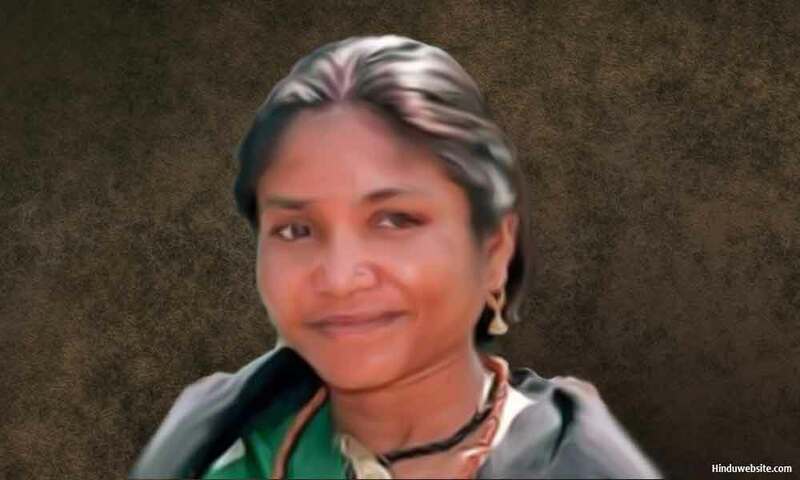 Some scholars and intellectuals may not realize its implications to Hinduism, but Phoolan Devi, know as the dacoit queen, represents Hinduism and a segment of Hindu society as much as anyone else. She was a Hindu women who represented a section of Hindu society and brought to light the plight of Hindu women in a caste ridden male dominated Hindu society who continue to suffer silently as part of their lot.